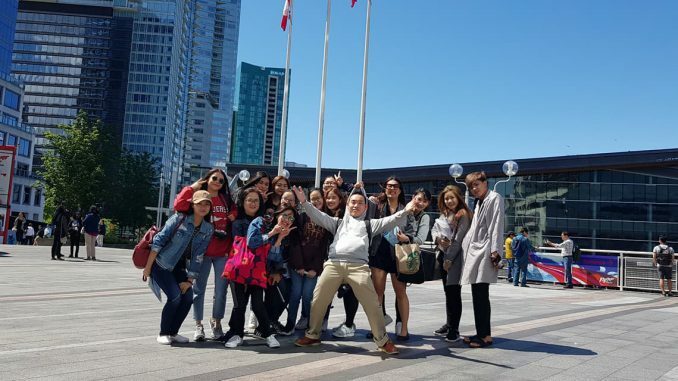 On May 27, 2018 fourteen of our LCI students started on their academic adventure to Vancouver, Canada. The students will explore all that Vancouver has to offer and experience an amazing cultural and language study trip. They will improve their cross-cultural communication skills and their English communication at VGC International College. Students will interact daily with local Canadians as well as other foreign students from all over the world. This is a once in a lifetime experience which is one of many opportunities supported by the Faculty of Humanities. We wish them all a safe and fun trip and know they’ll bring back some great memories of their time there and inspire other students to join in the future.